Once the weather gets warmer, we all tend to spend more time outside and those of you who have a backyard are definitely the luckiest. The backyard can be the perfect place for an outdoor living where you can enjoy spending some quality time with your dear ones. So, it is of great importance to decorate and arrange everything in the best way and thus enjoy in the upcoming sunny days. You can add some seating area or maybe you can add an outdoor bar where you can have a drink or two with your friends. 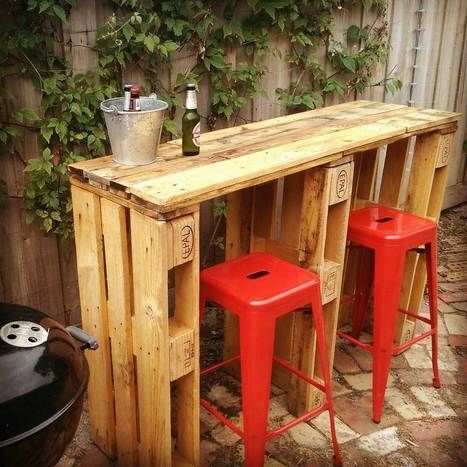 Such outdoor bars can be easily made from versatile materials, for instance from pallets. 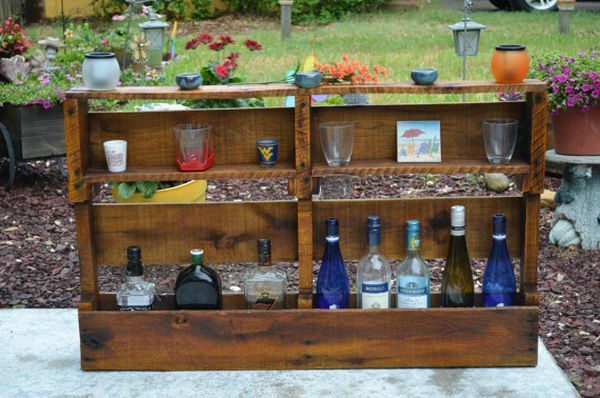 This may be the cheapest alternative to making an outdoor bar and also the easiest one. 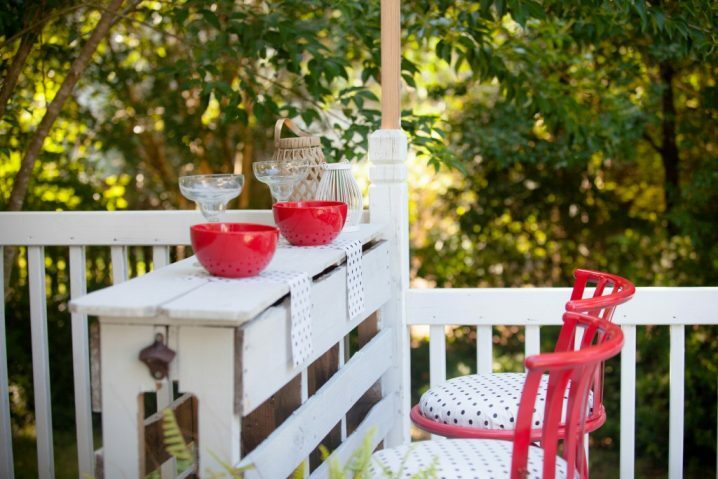 So, since we are always here for you to give you versatile inspirational ideas, today we are bringing to you a collection of several DIY Pallet Outdoor Bars that you can whip up in no time. 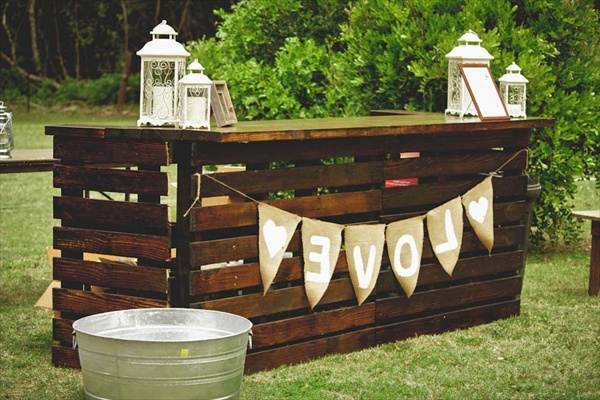 A pallet outdoor bar is a budget friendly way to make your backyard a more welcoming and inviting place. 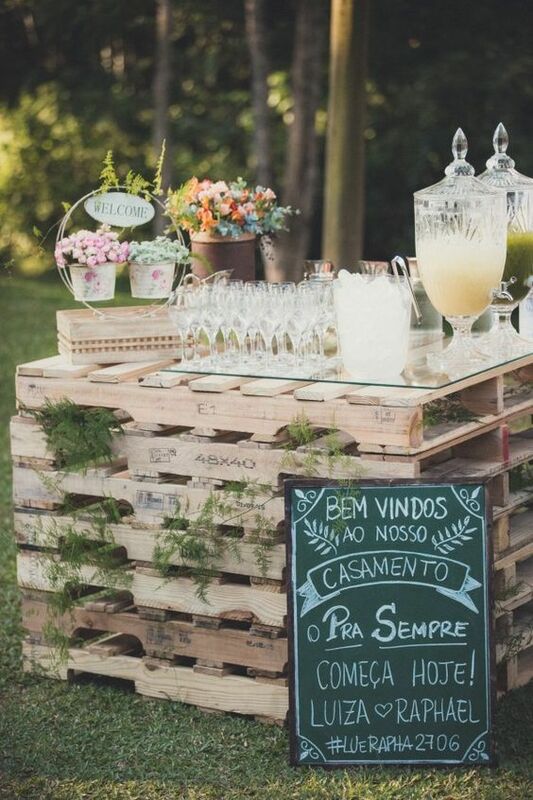 You can choose to leave the pallets as they or you can choose to paint them in some vibrant color. 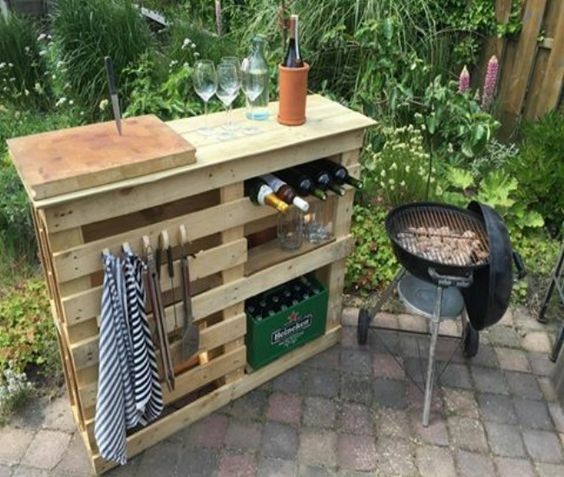 The bar top can be also made from pallets or you can use some concrete blocks or maybe some old roof joists. 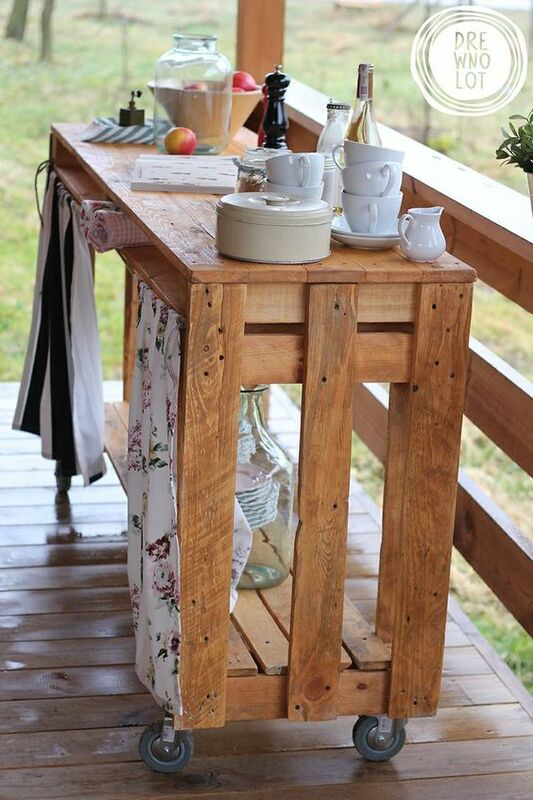 One such outdoor bar can be also used as a side table for salads or desserts for some great outdoor event. Decorate it with some garland or balloons to fit in with the rest of the party decor. 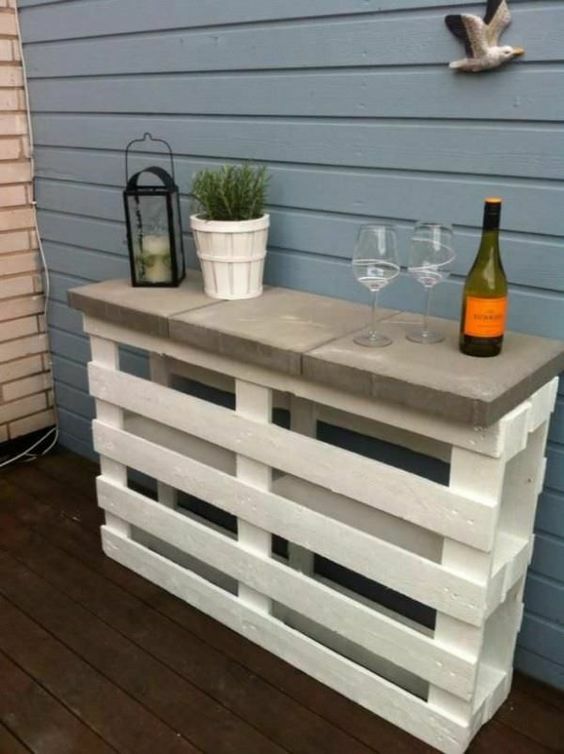 Scroll down now to see some DIY pallet outdoor bars that we have chosen for you today and do not hesitate to make such bar for your backyard. Enjoy! 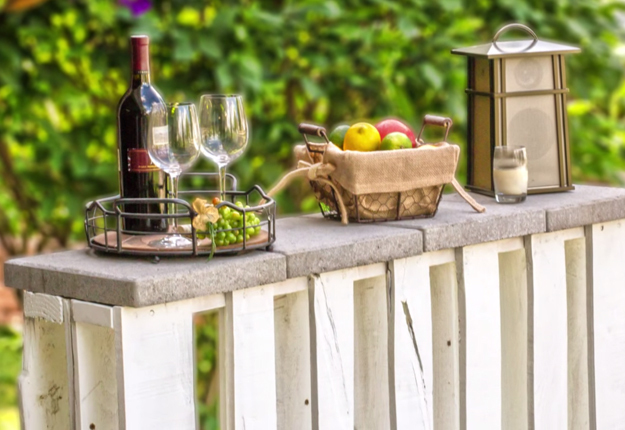 An outdoor bar is the must-have for the backyard, so you should not hesitate to add some into your backyard too. 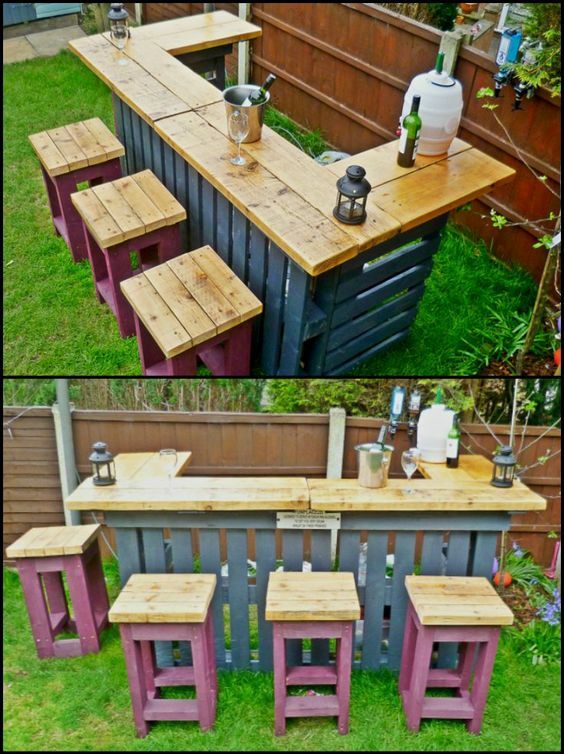 Pallets can be one of the best materials for making one such outdoor bar, not only because it is easy to be made but also because it won’t cost you much. 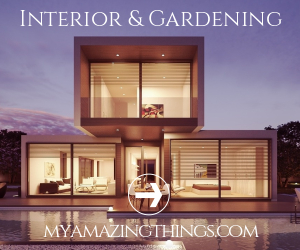 Tell us in the comments which one from the above ideas did you like the best, and of course, don’t forget to stay up to date with the content of Top Dreamer to find many other DIY ideas for your home or backyard.